Franz Kafka’s novel The Trial relates the parable “Before the Law,” of a dying man who spends years by the open doorway of the Law asking a guard permission to pass through. The guard denies all his requests. Finally, the man beckons the guard, and asks: “Everyone strives to attain the Law, how does it come about, then, that in all these years no one has come seeking admittance but me?’” In response, the guard bellows: ‘No one else could ever be admitted here, since this gate was made only for you. I am now going to shut it.” The parable is an apt simile to the experience of Illinois taxpayer defendants in Illinois False Claims Act (“IFCA”) proceedings. Consider this scenario. An Illinois business consults an accountant or an attorney on a rule of tax law, and can prove it followed the advice. The business is sued for fraud on that rule of law. The business may hoist the defense, or at least the cost of defense, to the advisor or it may sue the advisor. In an IFCA scenario, consider instead that the business is an Illinois taxpayer, and the advice received and followed is in a regulation by the Department of Revenue (“Department”) – say, on the interstate commerce exemption of the Retailers’ Occupation Tax Act (“ROTA”). Based on an anonymous allegation of fraud, the Department audits the exempt transactions and finds no liability to assess. If the government were to assess tax, despite the taxpayer’s compliance with the regulation, the liability would be abated in full, by law. There is no similar statutory recourse, however, when the government allows a third party to sue alleging IFCA violations identical to, and for the same tax periods as, the anonymous allegations that triggered the audit that found no liability. 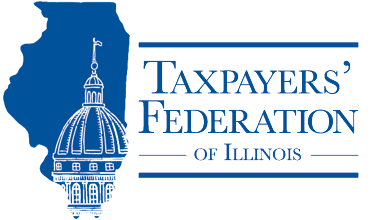 An Illinois taxpayer has these options today: (a) stop the transactions at issue because each day of complying with the regulation accrues potential liability in excess of its daily receipts, and watch as customers take their business to competitors not facing an IFCA suit; (b) pay a costly settlement (in which the government will share), but disregard the regulation going forward and risk future liability for over collecting tax from consumers; or, (c) bankrupt itself in years of litigation defending a baseless lawsuit. There is no right, nor just option — that is the dilemma for every Illinois taxpayer. The government contends that its audits would not pick up communications between the retailer and its customers, and that a conversation, text or email, for example about shipping a purchased item to an out-of-state address, might evidence a conspiracy. That justification for the dilemma created by using the IFCA nullifies the basis for the statutory requirement to keep books and records and to make them available for audit by the government. That position also turns on its head the government’s litigation position that testimony alone does not outweigh contrary books and records. Respect for the rule of law is undermined when compliance with the law offers no shield against liability, for the following reasons. Second, this approach holds a retailer liable under the Retailers’ Occupation Tax Act for post-sale (future) actions of a customer that, if they occur, should have triggered Use Tax Act liability for the customer. That unlawfully converts a retailer from a statutory collection agent into a guarantor of its customer’s tax liability for the customer’s own violations. The Supreme Court rejected such an approach in Hertz Corporation v. City of Chicago. A seller’s inability to predict a customer’s future use of an item does not depend on whether a Chicago or State tax law applies. Fifth, using IFCA prosecutions to fill in gaps in regulations is incompatible with the concept and definition of a “rule” under the Administrative Procedure Act. The better policy is to amend the regulation for additional steps retailers must take or document to avoid becoming defendants and guarantors of their customer’s use tax obligations. The possible amendments could instruct retailers, for example, to: (a) record customer conversations and maintain the recordings; (b) script and maintain the script of conversations with customers (or obtain a Private Letter Ruling approving the scripted conversation); (c) archive all customer emails, voice-mails and text-messages; (d) print specific disclaimers or warnings on invoices that retailers do not provide tax or legal advice and that customers may owe taxes if they return shipped items to Illinois, or (e) simply send the business elsewhere if there is any suspicion – other than one based on race, gender, sexual-preference, religion, or any other actionable basis — of future taxable use by a customer. The IFCA, under a different name at first, was enacted in 1993, and purposefully patterned on the federal False Claims Act. The federal FCA excludes from its scope violations of the Internal Revenue Code (“IRC). Although the IRC contains many excise and other taxes not based on income, a layperson probably associates it only with the income tax. Unfortunately, the General Assembly’s effort to mirror the federal FCA reflects that lay person’s understanding, so it excludes only the Illinois Income Tax Act from its scope, creating from the outset a lack of symmetry with the federal FCA that leaves all other State non-income taxes open to privateer enforcement. That lack of symmetry puts Illinois taxpayers at greater risk than other IFCA defendants because it is federal case law that is often cited in Illinois for instances which, due to the federal FCA’s exclusion of IRC matters, have never arisen under the federal law. For instance, there is one Cook County circuit court ruling holding that a prior disclosure to the Department is not a “public” disclosure because tax matters are statutorily confidential, i.e. not public, and so remain confidential unless litigated. Such a disclosure to an agency charged with enforcement of the alleged violation is sufficient to support dismissal in some federal judicial districts, and in Illinois courts where the Illinois agency with oversight of the alleged subject matter is not subject to statutory confidentiality. Illinois taxpayers therefore have fewer defenses than other IFCA defendants solely because of this accidental (negligent) lack of symmetry. If there is a common thread to the hundreds of IFCA privateer actions filed for tax matters since 2003, it is the lack of a cohesive principle of tax enforcement from one case to the next. The first wave of tax IFCA cases alleged nexus use tax collection violations of Section 2 of the Illinois Use Tax Act. Litigation on these cases lasted over 10 years – the Department had no role in the selection of defendants nor in the arguments presented to the courts. In the second wave of IFCA cases hundreds of taxpayers felt coerced by the excessive costs of litigation to settle cases where, although they collected taxes on internet sales, they did not do so on shipping charges because they followed regulations allowing that treatment due to the Department’s failure to update the regulation for contrary case law. In that instance, that door closed only after the Department and the Attorney General were sued by an industry group to cease IFCA prosecutions until the amendment of the regulations to reflect favorable private letter rulings – that amendment later allowed dismissal of the action. In another belated reaction, the Attorney General, having declined intervention in a case at the trial court, filed as an amicus on appeal supporting denying the double recovery of a damages award and attorney fees to an IFCA plaintiff acting as its own attorney. Yet, in the fifteen years preceding that high profile appeal the Attorney General had participated in, and received a statutory share of, hundreds of settlements that required payment of such a double recovery. Variations of IFCA prosecutions continue, such as those based on conversations rather than documents, or by competitors of defendants who engage in no transaction with the defendants – e.g. lack first-hand knowledge of, and books and records for, actual transactions – but allege the competitors’ transactions are IFCA violations. No cohesive tax enforcement policy opened the doors to the courthouse for these cases, nor have cohesive policies arisen from these cases, other than a policy of accepting settlements, mostly on plaintiffs’ terms, and a policy to take belated common-sense action when issues achieve a high profile in the courts. If you don’t know where you’re going, any road will take you there. It is time government pick a direction, or formulate rules of the road, and not simply follow wherever the next plaintiff may lead. If the Department does not agree with the asserted theory of liability, despite assuming that all alleged facts are true and that any unalleged but necessary facts would favor the plaintiff, deny the plaintiff permission to proceed in court. If all the alleged facts are assumed to be true and the unalleged but necessary facts are assumed to favor the plaintiff, and the Department agrees with the theory of liability asserted by the plaintiff, then issue a subpoena to the potential defendant for any alleged facts the Department would like verified, and for any unalleged additional facts the Department requires to determine whether it would assess tax. If the response to the subpoena is not satisfactory or not provided, grant the plaintiff permission to proceed in court. On the other hand, if there is no alternate remedy at least as effective as proceeding in court, and the Attorney General determines the plaintiff has the expertise and financial ability to expeditiously prosecute the action in court, and that no other policy reason merits the exercise of prosecutorial discretion to dismiss the action, then grant the plaintiff permission to proceed in court. If the Attorney General determines that plaintiff’s counsel lacks either or both the expertise and financial ability to expeditiously prosecute the action in court, intervene to take over the litigation or to dismiss for prosecutorial discretion. A more difficult parameter to set is that of “materiality.” Relative to the cost of a Department audit, the cost of IFCA proceedings alone – aside from damages and penalties – ranges from punitive, e.g., exceeding the potential tax recovery, to confiscatory, i.e., where the taxpayer considers going out of business. Often, the potential recovery does not justify inflicting the crippling costs of defense on a taxpayer, even if all the allegations are assumed to be true. The last 15 years of IFCA experience in tax matters have undermined the rule of law. Where the positions are contrary to regulations, or not based on books and records that comply with the regulations, or the costs of defense are out of all proportion to the potential recovery, the law is no longer “clear, publicized, stable and just,” nor is it “applied evenly,” nor can one say that “the processes by which the laws are . . . administered and enforced are accessible, fair and efficient.”  Illinois taxpayers deserve better. Through safeguards legislatively incorporated into the IFCA, or through reasonable, known principles for the use of IFCA in tax matters, government must restore taxpayers’ confidence in the rule of law. *Michael J. Wynne is a partner in the Chicago office of the JONES DAY law firm. The views and opinions set forth herein are the personal views and opinions of the author and do not necessarily reflect those of the Firm. This article should not be construed as legal advice on any specific facts or circumstances. The contents are intended for general information purposes only and may not be quoted or referred to in any other publication or proceeding without the prior written consent of the Firm, to be given or withheld at our discretion. The electronic mailing/distribution of this publication is not intended to create, and receipt of it does not constitute, an attorney-client relationship. 740 ILCS 175/1, et seq. 35 ILCS 120/1 et seq. ; 86 Ill. Admin. Code § 130.605(c) and (e). The plaintiff in an IFCA suit is a private party who, upon meeting the statutory requirements to maintain the action on his, her, or its own behalf and on behalf of the State, is referred to as a “relator.” The term “plaintiff” will be used throughout this article to refer to such a party. 35 ILCS 120/7. Also see, 35 ILCS 120/13, which makes it a criminal offense to fail to maintain or to produce books and records required by the ROTA. Mel-Park Drugs, Inc. v. Department of Revenue, 218 Ill. App. 3d 203 (1st Dist. 1988); Sprague v. Johnson, 195 Ill. App. 3d 789 (4th Dist. 1990). The IFCA provides that “[i]n no event” may a person bring an action which “is based upon allegation or transactions which are the subject of a civil suit or administrative civil money penalty proceeding in which the State is already a party.” 740 ILCS 175/4(e)(3). In State of Illinois ex rel Schad, Diamond and Shedden, P.C. v. QVC, Inc., 2015 IL App (1st) 132999, March 31, 2015, ¶ 27, the court found that it was not bad faith for the State to intervene to dismiss an action on the basis that a prior audit was a prior administrative civil money penalty proceeding, although it did not specifically decide the question of whether the audit was such a proceeding. 35 ILCS 120/1g provides for exemption identification numbers, and 35 ILCS 120/2c provides for resale numbers. Searle Pharm., Inc. v. Dept. of Revenue, 117 Ill. 2d 454 (1987), held it was arbitrary and capricious to discriminate among similarly situated taxpayers and their use of net operating losses based solely on whether they filed as part of a federal consolidated income return. A “statement of general applicability that implements, applies, interprets, or prescribes law or policy” is a “rule” under the Illinois Administrative Procedure Act. 5 ILCS 100/1-70. The existence of multiple IFCA cases alleging the same violation by multiple defendants, all of whom can show they are complying with an existing rule, suggests a policy of general applicability has not been incorporated in a regulation, as it should be, and that perhaps a fairer solution is to amend a regulation rather than prosecute hundreds of taxpayers that fall in the interpretative gap the IFCA plaintiff has targeted. See, e.g., the decision in Kean v. Wal-Mart Stores, Inc., 235 Ill. 2d 351 (2009), interpreting a Department of Revenue regulation in a consumer protection case, which regulation the Department finally amended to reflect the Kean decision many years, and hundreds of IFCA settlements, later. In the 19th and prior centuries, “privateers” were individuals authorized by a nation through a ‘letter of marque’ to attack and capture vessels of another nation at war with the issuer. The government’s authorization to a private IFCA plaintiff to pursue a recovery on its own and the State’s behalf is a bit similar, except the private plaintiff must allege the basis for the government to authorize the pursuit. Chimney Rock Winery, LLC, The Miner Family Winery, LLC, Staglin Family Vineyards, LLC and The Wine Institute v. Constance Beard, Dir. Ill. Dept. of Revenue, the Ill. Dept. of Rev., and Lisa Madigan, Ill. Atty. Gen., Cir. Ct. Cook County, 2015 L 050552 (Jul. 28, 2015). People ex rel. Schad Diamond & Shedden, P.C. v. My Pillow, Inc., 2018 IL 122487 (Sept. 20, 2018). Alice: “Would you tell me, please, which way I ought to go from here?” “That depends a good deal on where you want to get to,” said the [Cheshire] Cat. “I don’t much care where,” said Alice. “Then it doesn’t matter which way you go,” said the Cat. “—so long as I get SOMEWHERE,” Alice added as an explanation. “Oh, you’re sure to do that,” said the Cat, “if you only walk long enough.” Alice’s Adventures in Wonderland, Ch. 6, Lewis Carrol. Federal FCA case law imposes a demanding materiality standard to sustain a claim. Universal Health Servs., Inc. v. United States ex rel Escobar, 136 S. Ct. 1989 (2016). For example, where the Government reviewed an allegedly fraudulent enterprise several times, but found no need to terminate its contract with the enterprise or apply administrative penalties, the alleged fraud could not have been material to the Government’s decision to make a payment to the enterprise. United States v. Sanford-Brown, Ltd., 840 F.3d 445, 447 (7th Cir. 2016).